KYBELLA® is administered over a series of sessions tailored by your doctor to improve your profile. 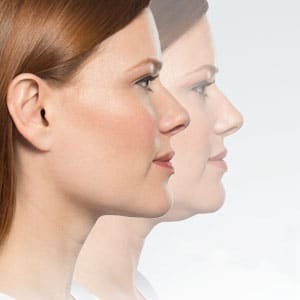 Whether you have a moderate amount of fat under your chin—or a bit more—ask your doctor if KYBELLA® is right for you. We’re excited to announce that we are now offering KYBELLA® at many of our locations. Our cosmetic clinicians have completed intensive training in this first-of-its-kind treatment, and they look forward to discussing whether KYBELLA® is right for you. Request a cosmetic appointment to learn more.